Silver Arrow Knits! 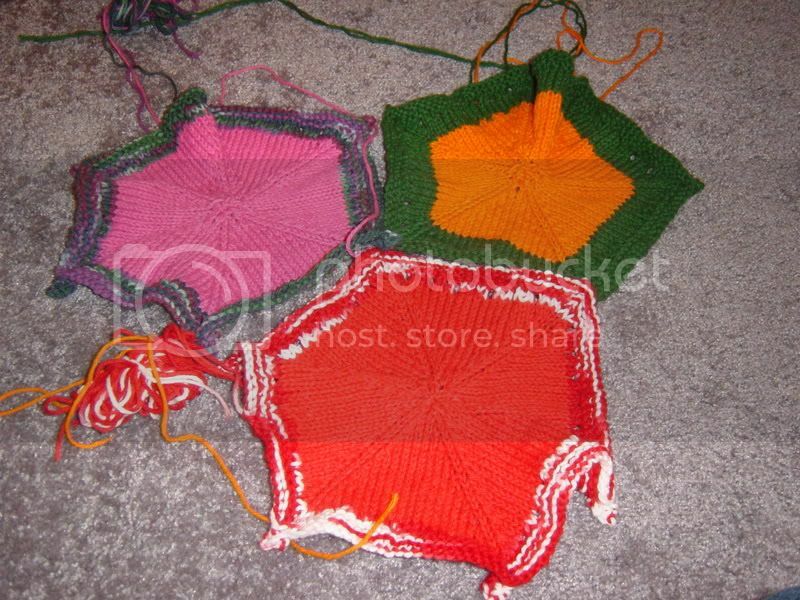 : More Dishcloths! Here are pics of my three new MD dishcloths. At this point I am trying to use up the odd bits I have left from previous dishcloths, so my stash looks a tad bit more respectable. I don't know why I am thinking this, but I need to fulfill this craving! As you can see, I am definitely building my supply of dishcloths. I am not sure whether to gift them to multiple people or to make a lap blanket. I guess I will see how the holiday knitting works out and go from there! The dishcloths are looking great! 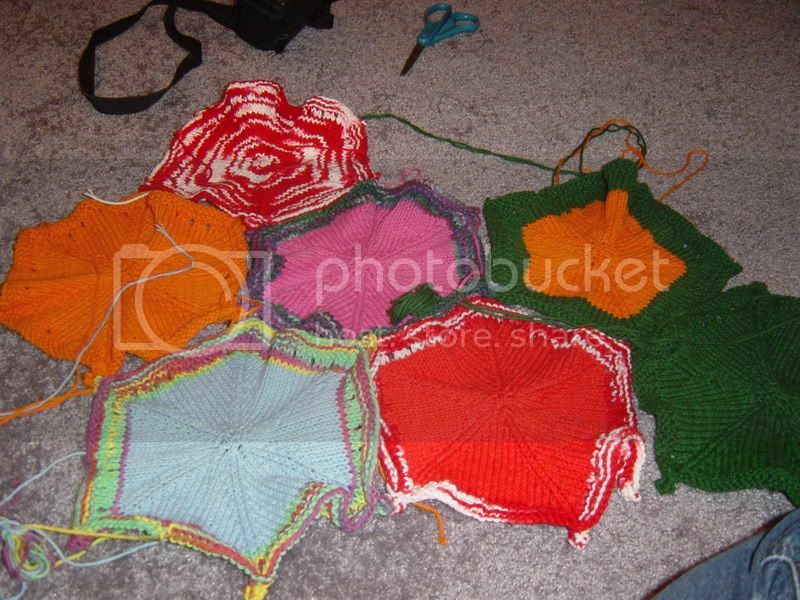 I have been thinking of doing a scrapbook of my knitted items too...haven't gotten around to it yet though. Besides, I need to take the pics to get them developed (either off my digital camera or off a cd)...someday I'll do it. Someday.